Are you interested in creating short videos in your course? Office Mix is an add-in to MS PowerPoint. 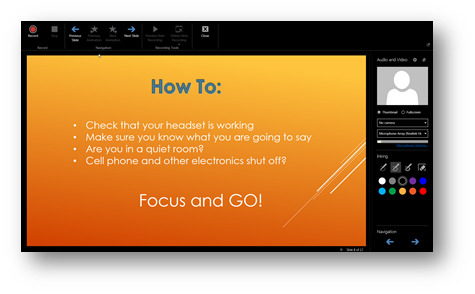 It is FREE and is a very easy way to add voice over to Power Point slides. Figure 1: Welcome to Office Mix! "A More Robust Recording Solution"
Well, Office Mix is a more robust recording solution. You can record voice over slides, record annotations, embed video from your web cam (in the form of a ‘talking head’), add assessments and publish your final video to several output formats, all at the click of a button. Recording short videos is the key to flipping your classroom. It allows the instructor to present basic concepts to students prior to attending class, allowing for more discussion and hands-on activities during class. 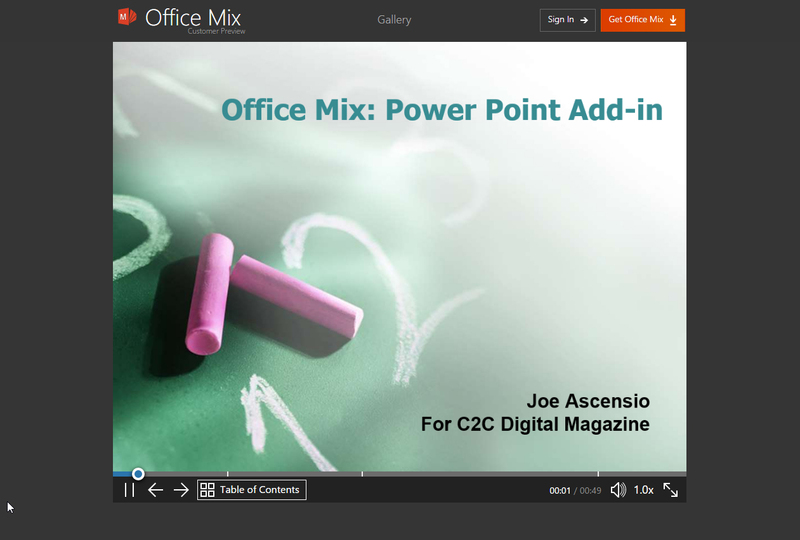 Office Mix is a powerful tool in an instructor’s tool box and an inexpensive way to create videos! Recording videos has never been easier. An instructor, instructional designer, or student need only have Microsoft PowerPoint and a computer equipped with a microphone and speakers. Using a headset will help create more professional sounding videos but is not required. There are two main ways to record voice over slides. 1)	Slide Recording – Record voice over individual slides. 2)	Screen Recording – Record voice over any application that you can display on your screen. Download MS Office Mix by clicking this link. Once you have accessed the Office Mix download page, sign in using a Microsoft account, an Organizational Account, Facebook, or Google account. 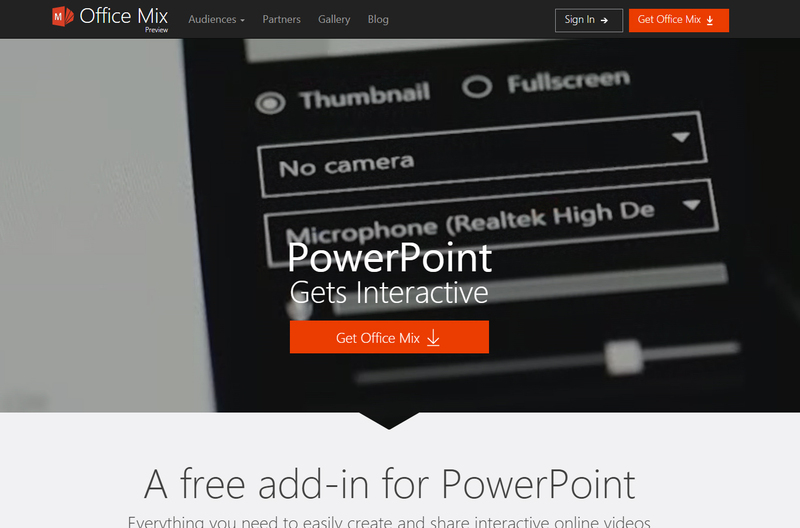 Once you have downloaded and installed Office Mix, a new “Mix” tab will appear in PowerPoint. To access Mix, look for the tab on the right side of the PowerPoint menu. The Mix ribbon (menu) looks like other Microsoft ribbons. The most commonly used buttons for beginners are indicated below. Be sure to explore other buttons as time permits. Check that your headset is working. Prepare your script to coincide with your slides. Find a quiet place to record. 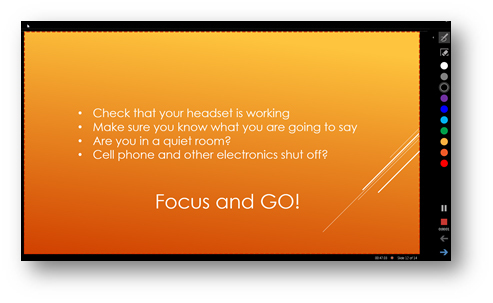 Turn off cell phones, office phones and other electronics. The main controls are listed across the top of the screen; the web cam, microphone and camera controls, as well as annotation tools are along the right side. For those with slide notes, these will be in a transparent window near the top. Note that the top controls move to the right side during recording. This, along with the ‘marching ants’ (moving dashes around the recording area), are visual reminders that you are recording. Note: You can record using a web cam. After recording, the video image will occupy a space in the upper right corner of the slide. In this case, the controls stay at the top. Plan your slide with whitespace, so text or graphics are not overlaid with the web cam image. 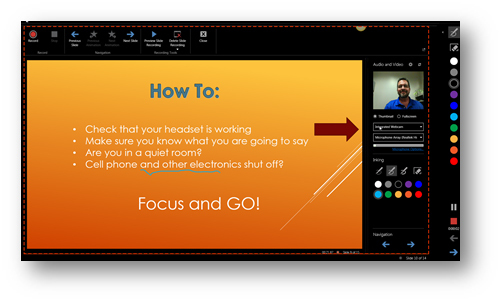 It is possible to resize and move the camera video after returning to PowerPoint (to avoid blocking information). 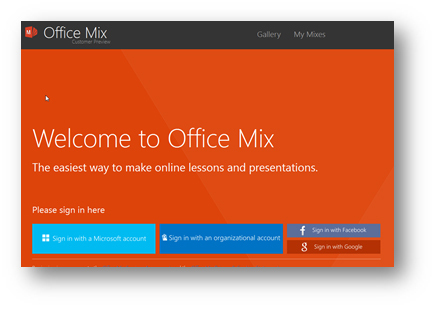 Office Mix is a feature-rich and continually improving product. Once this add-on is installed, the user will be notified of updates. Keep Office Mix up-to-date to take advantage of the latest enhancements. Consider the possibilities of using Mix to create training materials and other types of documentation. If a picture is worth a thousand words, what is a video worth? Want to see Office Mix in action? Jose Ascensio shares a video that he made using Office Mix. 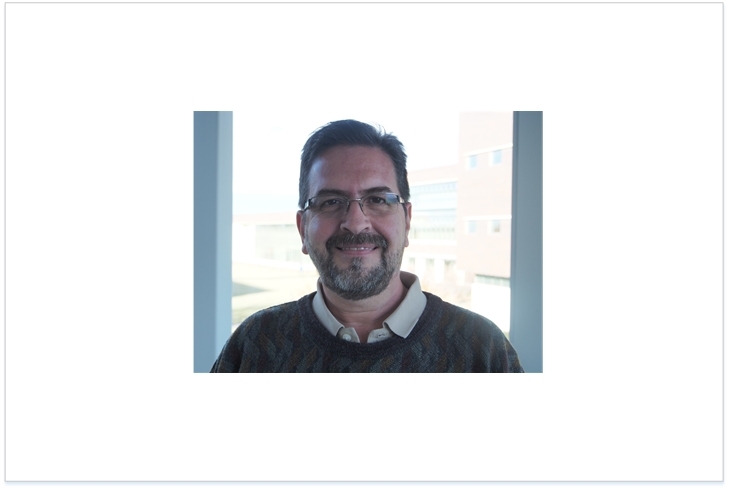 Jose “Joe” Ascensio lives in Kansas City, Missouri, and works at Kansas University (Edwards Campus), as an instructional technologist. He is also an author and speaker on topics related to self-improvement and technology. Ascensio holds a master’s degree in education. He is currently pursuing a master’s degree in Project Management from KU. His bachelor’s degrees are in computer information systems. Ascensio’s passions in life are family, technology, and training. You can reach him via LinkedIn at http://www.linkedin.com/in/joeascensio. (Click "Remove this header" to access the LinkedIn site.) His email is jascensio@ku.edu. Discussion of "Office Mix: A General Overview"
Version 15 id 791811 of this page, updated 20 June 2016 by Colleague 2 Colleague. Created by Shalin Hai-Jew.